VSSL Flasks have been infused/lined with glass; because it's the best material to preserve the taste &amp; quality of your beverage. Holds your beverage of choice plus a flashlight to help guide you in the dark. While VSSL Flask pays tribute to the end of prohibition, its compact form was created with portability, not concealment, in mind. 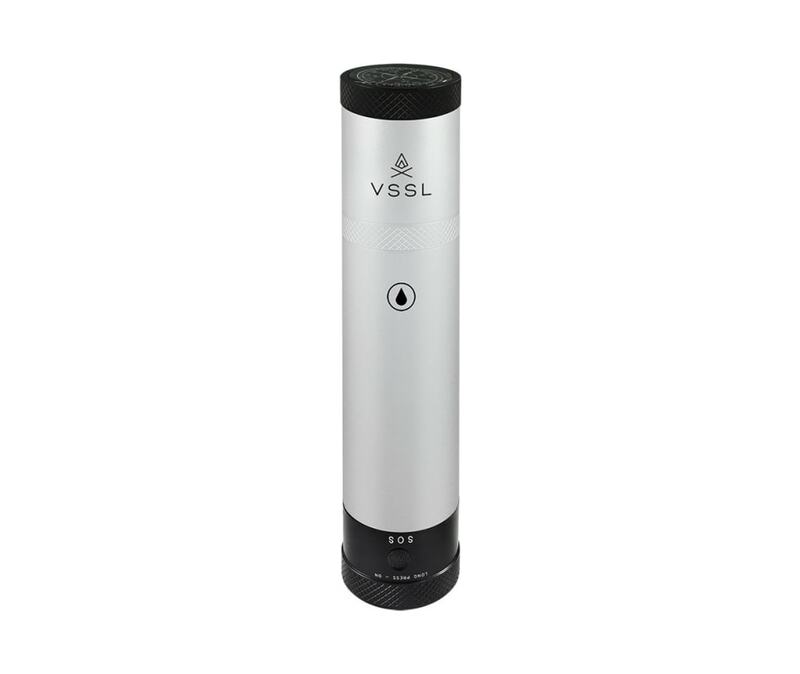 It was designed to be easy to take on your adventures, like other VSSL products.